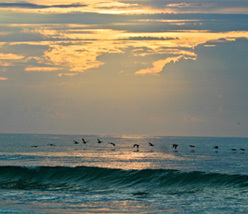 Wendy Wilmot Properties knows Bald Head Island, so why trust anyone else with your special, relaxing vacation? Whether you are hoping to create one-of-a-kind family memories or just looking to reconnect with yourself, Bald Head Island has something for everyone and WWP can help you each step of the way. From oceanfront panoramas to expansive marshes and a top-rated golf course, Bald Head Island is your perfect destination for leaving behind the mundane to immerse yourself in a well-deserved escape- enveloping you in a unique blend of soul relaxation and personal reanimation. Wendy Wilmot Properties holds membership in the Vacation Rental Management Association on both the state and national level. Membership gives us access to updated industry information, advocacy, education and valuable networking opportunities promoting professionalism and sustainable company growth. 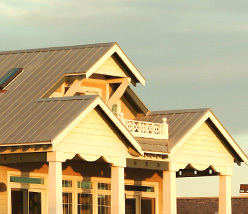 The VRMA network allows Wendy Wilmot Properties the unique prospect of connecting to over 90 other professional vacation rental management companies in NC alone. All items must be in a covered container, suitcase or zipped bag to be accepted by dock personnel. Open-topped and unsecured items will not be accepted as checked baggage. Checked items must not require more than one person to safely handle. All checked baggage must be tagged by the owner prior to acceptance by dock personnel. Baggage tags are available at the terminal and must include a name, local phone number, date and time of ferry departure. You may wish to carry smaller items on board. Carry-on items should be consistent in size and volume to airline carry-on items. To assist passengers with complying with checked baggage requirements, plastic container tubs are for sale for a nominal fee at the Deep Point Ferry Terminal ticket window. Although Bald Head Island is a natural playground for outdoor activity, we encourage you to rent certain overweight or oversized items such as bikes, kayaks, surfboards, standup paddleboards, etc. from an Island business. If you find you must bring overweight or oversized items, they may be accepted with an Excess Baggage Ticket for $23. Space on the ferries is limited; therefore, it is possible that during peak periods certain larger items will not be transported on the same ferry as passengers. Every effort will be made to transport these items within six hours of the guest’s ferry time. Bikes, kayaks and the like will not be transported in trams due to size, sharp edges and/or grease. These items may be claimed at the Island Ferry Terminal and transported by the owner using a golf cart provided with the accommodations. When departing the Island, bikes should be brought to the Island Ferry Terminal no later than the evening prior to departure. Failure to do so may result in delays receiving your item upon your departure. Any oversized items must be checked, not carried on. An example of an oversized item would be a bike, a large surfboard or anything over 7 feet long. Oversized items checked will incur a charge of $23.00 each (current as of 2018). Furniture must be transported via Bald Head Island Limited’s barge and special arrangements must be made. Barge reservations may be made by calling 910.457.5205. Car-top carriers (hard or soft) will not be transported aboard the ferry. The above information is not all-inclusive. Items may be denied passage in the interest of safety and reliable performance at the discretion of the Shift Supervisor or Ferry Master. Please read the baggage loss and damage policy printed on the back of your ferry ticket. And please remember: pack as if you were taking a flight to your vacation. Please review our rental information and policies below. Should you have questions, please contact our office at 910.470.0000. (A) Cancellation by Tenant must be in writing. In the case of an emergency cancellation made orally, written documentation must be presented as soon as possible. Cancellation of a reservation shall be deemed a material breach by Tenant and no refunds will be made unless the Property is re-rented for the full rental term at the same rental rate. In the case of such re-rental, monies paid or deposited by Tenant will be refunded, less an administrative fee of $100.00 that will be disbursed to WWP, but if the Property is not re-rented, no refunds will be made. If the Property is re-rented for less than the full term and/or full rate, the difference between Tenant’s rental obligation and the amount of the re-rental will be disbursed to WWP from monies paid or deposited by Tenant, to defray the actual damages suffered by WWP as a result of Tenant’s breach and the balance of the monies (if any) will be refunded to Tenant. (B) Tenant acknowledges that WWP offered Tenant the opportunity to purchase trip cancellation and interruption insurance through the Travel Insurance “TGTI” program of Travel Guard Insurance and that this insurance coverage was available for Tenant to review, consider and purchase for a period of twenty-one (21) days after Tenant’s reservation was made. Such insurance coverage (or a similar policy) shall be Tenant’s sole recourse for cancellation of reservation more than twenty-one (21) days after reservation date or within forty five (45) days in advance of arrival. (C) No refunds or rental rate adjustments will be made for malfunction of air conditioners, hot tubs and/or hot tub equipment, pools and/or pool equipment, televisions, electronics, appliances, golf carts, phone, internet or cable outages, or the like. Tenant should, however, notify WWP immediately if any of the above circumstances arise and every reasonable effort will be made to make repairs and resume service. WWP cannot predict the location of construction activity on the Island and may not be able to inform Tenant at the time reservation is made whether the Property is near a construction site. WWP will not make refunds due to construction activity. No refunds will be given for transportation, parking costs, or ferry tickets. (D) Breach (violation of any terms or conditions of this Agreement) by Tenant or any member of their party may terminate this Agreement and Tenant shall be subject to eviction in accordance with Paragraph 14 herein, the North Carolina Vacation Rental Act, and the Policies and Procedures as set forth in publications and on the website of Wendy Wilmot Properties, LLC. Tenant agrees that the maximum number of occupants of the Property shall not exceed the occupancy listed for the Property on page 1 of the Vacation Rental Agreement. An occupant is considered to be any one person four (4) years of age or older. Failure of Tenant to adhere to the maximum number of occupants shall result in a charge to Tenant of an additional $1000 per person for each occupant over maximum, shall be deemed a material breach, and may be considered just cause for expedited eviction. WWP shall be entitled to charge Tenant’s credit card account for said additional rent, as well as actual damages suffered as a result of Tenant’s breach. Check-in is 4:00 PM and check-out is 10:00AM. Early arrivals and/or late departures will be subject to a fee of no less than one (1) day’s additional rent. Failure of Tenant to vacate the Property by check-out time or arrival prior to check-in time shall result in a charge to Tenant of an additional day of rent, shall be deemed a material breach, and WWP shall be entitled to charge Tenant’s credit card account for said additional rent as well as actual damages suffered as a result of Tenant’s breach. Tenants are required to secure reservations for use of the trams, which take guests and their luggage to/from the homes. Tram seats fill up very quickly for the peak summer season and holidays, as tram seating capacity is far less than the capacity for the ferry. We cannot accommodate early arrival and late departure requests. While selecting your departure ferry for the end of your stay, please remember that trams will arrive to pick you up from your rental home 30-45 minutes prior to your scheduled ferry time leaving the Island. Tenant is required to send WWP a confirmation for booking on arrival and departure trams within 30 days of booking unit. Please note, there are currently no alternative methods of transportation available to and from ferry. Tenants shall not drive carts from unit and leave at ferry or anywhere near ferry terminal. Any towing or retrieval costs resulting from such shall be the responsibility of the tenant. Golf carts must be left at the Property and properly plugged in upon departure from the Property or additional administrative and/or towing charges may be incurred by Tenant. The check-in time indicates ferry departure from Deep Point Ferry Terminal. It is advisable that guests arrive at Deep Point at least 45 minutes prior to scheduled check-in time to allow time for the purchase of ferry tickets from the ferry ticket window, parking and any security processing. Upon arriving at Deep Point Marina, drive directly to the ferry terminal, place baggage on the luggage racks and proceed to an available parking lot. When entering a parking lot, a parking ticket will be issued. You will pay for parking upon exiting the lot at the end of your stay. Rates are $10 a day during the summer, $8 in the off season. The check-out time listed on the Rental Confirmation indicates ferry departure from the island. No refunds, rental adjustments, or other allowances will be made for late arrival at or early departure from Tenant’s accommodations due to tram scheduling or disruption of ferry schedule. Accidental Damage Protection – The Administrative Fee for the Property, as set forth in the Vacation Rental Agreement, includes a premium paid for Accidental Damage Protection (“ADP”). Accidental Damage Protection (“ADP”) is provided by WWP and is included in your reservation in lieu of a security deposit. Subject to the provisions of the policy the maximum benefit is either $3,000.00 or $5,000.00 depending upon the property. Accidental damage protection is included for any damages or accidents, subject to exclusions and limitations that occur to the premises during your rental period. Tenant understands and agrees that any damage to the Property, its furniture, furnishings, appliances, vehicles, or equipment, or any missing property, must be reported to WWP immediately, but in no event later than twenty-four (24) hours after Tenant check-out. Failure to timely report damage or missing property may result in denial of coverage under the ADW and Tenant shall be personally liable for the full cost of repair or replacement. If unreported damage or missing property is discovered at or immediately after Tenant’s departure from the Property, or if a claim for damage or missing property under the ADW is denied for any reason, or if the cost of repair or replacement of damage or missing property exceeds the maximum benefit under said ADW, then in any of those cases, Tenant will be responsible for the difference and WWP shall be entitled to charge Tenant’s credit card account for said additional charges as well as actual damages suffered as a result of Tenant’s breach. Note: ADW does not cover theft or purposeful and malicious damages. A deposit of approximately 50% of the total amount due, including all rent, applicable fees and taxes, shall be paid by Tenant at the time of booking of reservation unless other arrangements are agreed to by WWP, but no later than seven (7) days after booking date. Reservations must be paid in-full no later than forty-five (45) days in advance of arrival. Reservations made fewer than forty-five (45) days in advance of arrival require payment in-full at time of reservation. Accepted methods of payment include MasterCard, Visa, Discover, electronic check, personal check or cash. All checks must be issued in U.S. funds and drawn on a bank that operates within the U.S. Federal Reserve System. A $35 fee will be assessed on all returned checks. Please do not send credit card information through an email or leave credit card information on a voice mail. The ferry is located at Deep Point Ferry Terminal, 1301 Ferry Road, SE, Southport, N.C. Guests are required to secure reservations for use of the trams, which take guests and their luggage to/from the homes. Tram seats fill up very quickly for the peak summer season and holidays, as tram seating capacity is far less than the capacity for the ferry. While selecting your departure ferry for the end of your stay, please remember that trams will arrive to pick you up from your rental home 30-45 minutes prior to your scheduled ferry time. Please note, there are currently no alternative methods of transportation available to and from ferry. Tenant is required to send WWP a confirmation for booking on arrival and departure trams within 30 days of booking Property. Tram reservations should be made by calling 910.457.5003 or online at www.baldheadislandferry.com. Please note: vehicles taller than nine feet will not be able to drive to the lower level at the ferry terminal. Download driving directions or navigate to Deep Point Marina. All rental accommodations have fully equipped kitchens, washers and dryers, vacuum cleaners, color TV, central heat and air conditioning, telephones, cribs (generally pack & plays), high chairs, bath towels, bed linens and the use of an electric cart(s). Other items such as beach chairs, beach umbrellas, boogie boards and bicycles may be rented on the island. Linens for cribs and sleeper sofas must be requested when reservation is made. Each unit has one or more electric golf cart(s). Complimentary initial supplies of cleaning products, paper towels, bath tissue and soap are provided at check-in. Additional supplies can be purchased at the Maritime Market. Locked closets are maintained by homeowners for personal use. Please respect these areas. Accommodations are thoroughly cleaned before each guest’s arrival. Additional housekeeping services can be requested at a special rate, based on availability. Reservations of two weeks or more in duration may receive a change of linens. Tenant shall be personally responsible and Tenant’s credit card may be charged for the cost of extraordinary cleaning services provided to the Property and to the furniture, furnishings, flooring, fixtures and finishes located or installed therein, if and to the extent such cleaning is necessitated by the intentional, careless or negligent act(s) of Tenant or Tenant’s guests, Pets or invitees, including (but not limited to) extraordinary cleaning services necessitated by a party, event, or function held at the Property. Bald Head Island’s baggage handling system is similar to that of an airline, so guests should pack as if they were flying to their destination and exercise restraint in what they choose to bring. Please note that a crib and high chair are provided in each accommodation upon request and other items such as beach chairs, beach umbrellas, boogie boards and bicycles may be rented on the Island. When guests arrive at the mainland ferry terminal, they should place their baggage on the baggage racks and notify an outfitter. Nametags are required on all luggage and boxes and are available at the ferry terminal. Please limit luggage to no more than three checked pieces and two carry-on pieces per person. Loose items such as open-top bags or boxes, grocery bags, Styrofoam coolers, jackets, shoes, tennis racquets, surfboards or fragile items such as video cameras must be hand-carried. Such items may be subject to security screening. Golf bags must have top hoods in place or be in an enclosed protective cover. Large, bulky items such as bicycles or kayaks will require a Special Cargo Ticket that can be purchased for an additional fee at the lower level ticket window at Deep Point Ferry Terminal. These special cargo items will not be transported in trams due to size, sharp edges and/or grease. Cargo space on the ferries is constrained; therefore, it is possible that during peak periods cargo items will not be transported on the same ferry as passengers. Every effort will be made to transport special cargo within six hours of the guest’s ferry time. Special cargo may be claimed at the Island Ferry Terminal and transported by the owner using a golf cart provided with the accommodations. Expensive bicycles are discouraged on the ferry system as they can become damaged in transit. Please note: Wendy Wilmot Properties accepts no liability for bicycles damaged in transit. Download Helpful Hints on How to Pack for your trip to Bald Head Island. Although we cannot be held responsible for items left behind, we do make every effort to locate and return them to you. Please contact our office at 910.470.0000 or by emailing managers@wwpbaldhead.com. Once we receive your credit card information, items found will be sent via UPS. Unclaimed items will be donated to local charities after thirty days. There is a three-night minimum on most WWP homes in the offseason, with select homes having a two-night minimum. There is a seven-night minimum during the summer season. Some homes have a seven-night minimum year-round. Please inquire as to the particulars. Accommodations designated “dog-friendly” require payment by Tenant of a minimum of a $300.00 non-refundable fee for a maximum of two (2) dogs depending on Owner approval, plus any charges incurred for additional housekeeping services and applicable taxes. Tenant must abide by any dog limitations imposed for the Property. Otherwise, no dogs or other pets are allowed in or on the Property and violation of this provision shall be deemed a material breach by Tenant. If a dog or other pet is found in or on the Property, WWP may cancel this agreement and recover possession of the Property and/or may charge Tenant or Tenant’s credit card a fee of $1,000.00 per dog or other pet. In such circumstances, no rent monies will be refunded but will be disbursed to WWP to defray actual damages suffered as a result of Tenant’s breach. The provisions of this paragraph shall not apply to bona fide service animals required by Tenant or a member of Tenant’s family. Note: Accidental Damage Waiver shall not apply to damages done by pets in a property not designated as dog-friendly. In such a case, damages will be the sole responsibility of the Tenant. Please note that pets are not allowed inside the passenger cabin of any Bald Head Island ferry. Descriptions of accommodations are based, in part, upon information provided by the owners of the premises described. Wendy Wilmot Properties has endeavored to ensure the accuracy of this information; however, we cannot be responsible for misinformation or typographical errors. All prices, fees, specifications, configurations and availabilities are subject to change without notice. Rates displayed include accommodations, damage waiver insurance, departure cleaning and temporary membership to the Bald Head Island Club. Total charges upon booking include optional travel insurance and taxes. Dog fees may apply if bringing a dog to a designated dog-friendly home. Optional temporary membership to the Shoals Club (if home offers Shoals) will be paid directly to the Shoals Club by the guest. Golf fees, ferry and parking are not included in rental rates. Reservations may be made by calling 910.520.3511, or visiting www.BestOfBaldHead.com. Future year reservations are tentative and are subject to changes in rates and availability. Renters must be at least 24 years old. Please be sure to inform our agency should anyone in your party have special needs. A signed rental agreement and a 50% deposit are necessary for confirmation of stay. The Village of Bald Head Island is an incorporated municipality and ordinances are in place to protect the Island and its inhabitants. Information about Village ordinances pertinent to your visit and activities can be found in the in-home directory provided in each rental accommodation or by contacting the Village at 910.457.9700. Please note: Grilling is restricted on wooden decks, patios and under houses. Propane gas grills are generally permitted, but some communities restrict grilling entirely. Please check with your rental relations coordinator for further information about grilling. Please also note: Electric golf carts are not toys. Their misuse can lead to serious adverse consequences. They are subject to all laws and ordinances applicable to the operation of a motor vehicle on a public road- including the requirement that operators must possess a valid driver’s license, be at least 16 years old and not be under the influence of alcohol or drugs. Be sure to read and follow all instructions provided in the vehicle and the in-home directory for golf cart operation, including the precautions suggested for the safety of drivers and passengers. Whether biking, hiking, swimming or riding, please take care and make this a safe vacation trip for you and your family on Bald Head Island. If hurricanes or other extreme weather conditions occur, the Village of Bald Head Island may declare a state of emergency or announce voluntary or mandatory evacuations. 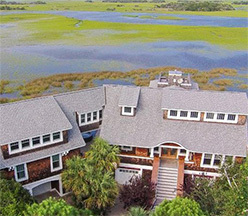 During each phase of alert levels, the Village of Bald Head Island informs the community on their Island TV channel #3 and on their website at www.villagebhi.org. In the event that Bald Head Island is threatened by a tropical storm or hurricane during your vacation, Wendy Wilmot Properties will also keep you informed through phone calls and emails. Hurricane season occurs each year between June 1 and November 30. Wendy Wilmot Properties does not offer refunds as a result of trip interruption. Travel protection insurance (“TGTI” coverage through Travel Guard Insurance) is strongly encouraged. Your account balance will include a 6.75% N.C. sales tax (4.75% state/2% Brunswick County tax) and a 6% Village of Bald Head Island accommodations tax. Any changes in current tax rates will be applied on the effective date and charged prior to arrival. Long distance calls from rental accommodations must be made collect, by credit card or using a calling card.